This Listing Is For Two New Sealed Vinyl Albums Totaling 9 LPs. New Sealed! 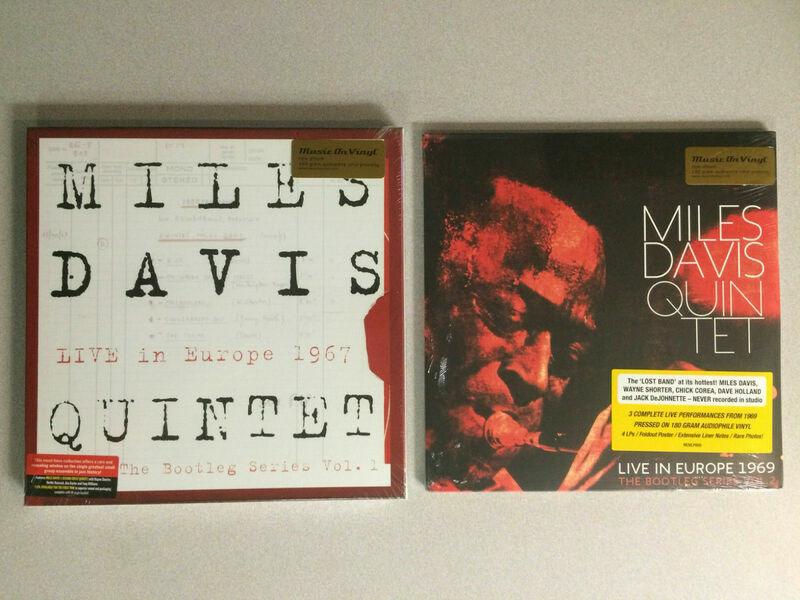 (2011) Miles Davis Quintet - Live in Europe 1967 5LP 180g Audiophile Vinyl Box Set & (2013) Miles Davis Quintet - Live in Europe 1969 4LP 180g Audiophile Vinyl Set. These represent Volume One and Volume Two of the Live Bootleg Series produced by Music On Vinyl on 180gram Audiophile Vinyl. Both have gotten much Praise by Fans/Critics and are in New Sealed Condition. Please See Pics. Professional Packaging. Thank you. Released in 10 MM sleeve. Comes with a 30 x 38cm Poster.